The Porsche LMP Team will return home to Stuttgart with the manufacturers’ trophy for the third consecutive time. The works driver trio of Earl Bamber (NZ), Timo Bernhard (DE) and Brendon Hartley (NZ) finished second in the six-hour race of Shanghai and are the new world champions. Their teammates with the sister car – the outgoing world champion Neel Jani (CH), André Lotterer (DE) and Nick Tandy (GB) – came third in China. A technical issue early in the race had caused them to drop back. Victory in the WEC’s round eight of nine went to Toyota. Until the 174th of 195 laps it looked as if the manufacturers’ title would remain open until the final race in two weeks time. But then the second Toyota had to pit for repairs after a collision and the two Porsche 919 Hybrids each moved up a position. The race took place on a consistently dry track with ambient temperatures of around 15 degrees Celsius. The abrasive tarmac of the Chinese Formula One circuit was a decisive factor as normal. Start driver Nick Tandy, who had his 33rd birthday today, battles with both Toyotas and successfully defends second position until a sensor issue drops him back on lap 19. He receives instructions via radio how to activate the back up solution. The 919 is running fine again, but Tandy is now in fourth position, running one minute and 15 seconds behind the third placed sister Porsche. Tandy refuels after 31 laps. End of lap 62 the second stop is due. Neel Jani continues on fresh tyres, he is now one lap down from the leading Toyota. With 75 laps completed, Jani uses a full course yellow period to fill up again. On lap 91 he is also lapped by the second Toyota (number 7). The next stop for fuel is due after 106 laps: pick up is removed from the front splitter and Jani gets two used and two new tyres. With 136 laps completed, the number 1 Porsche is refuelled again. André Lotterer jumps in and gives it a go on fresh tyres. He refuels after 167 laps (race lap 168) for the last time. When the number 7 Toyota needs to pit for repairs after a collision, Lotterer moves up to third. For a short time after the start, Earl Bamber manages to improve to third position but then has to let the faster number 8 Toyota go and finds himself back in fourth. When the other Porsche has its technical issue, Bamber goes into third. He refuels after 30 laps and after 61 laps, hands over to Brendon Hartley, who gets fresh tyres. After 76 laps the car is refuelled under Full Course Yellow. Three laps later Hartley is almost forced off track by a LMP2 car. There is contact but with no major damage. Having 107 laps completed, Hartley refuels again. The tyres stay on the car but the front hood is changed to get rid of pick up. On lap 126 Hartley is lapped by the leading number 8 Toyota. After 137 laps for the number 2 car, Hartley hands over to Timo Bernhard who continues on fresh tyres. He refuels after 166 laps (race lap 167) and gets promoted to P2 when the number 7 Toyota has its unscheduled repair stop. The title fight in the Sports Car World Endurance Championship WEC remains gripping to the end: Clinching the eighth WEC podium result for the 911 RSR this season, Richard Lietz (Austria) and Frédéric Makowiecki (France) narrowed the gap in the GT Drivers World Championship to just two points before the final race in Bahrain on 18 November. For their teammates Michael Christensen (Denmark) and Kévin Estre (France), the race on the 5.541-kilometre Grand Prix circuit on the outskirts of the Chinese economic metropolis came to an early end: After holding the lead for almost the entire first third of the race, they had to park their 911 RSR after 2.15 minutes due to engine damage. Driving the #91 Porsche 911 RSR, Richard Lietz and Frédéric Makowiecki were very close to clinching their first world championship victory. After a difficult qualifying, which saw them take up the race from the seventh grid spot, they fought their way to the front with consistently fast lap times. After about an hour they were running in third place, and shortly after their team colleagues’ retirement while in the lead, Frédéric Makowiecki took the front spot. 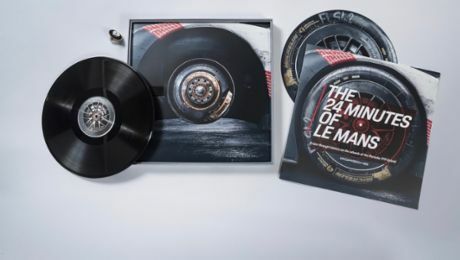 For almost an hour, the Frenchman defended his position before relinquishing it to come into the pits. With approximately 90 minutes to the flag, Richard Lietz took over driving duties in the 911 RSR, moved into third place and, in a spectacular overtaking manoeuvre, snatched second place. The final phase was definitely not for the faint-hearted. Over many laps, the Austrian delivered a gripping duel with the leading Ford, where he was practically glued to the bumper of the frontrunner. With 35 minutes to go, a critical incident thwarted his charge: A Toyota prototype hit the right side of the Porsche in the first corner. Because of this, Richard Lietz lost more than 15 seconds and ultimately the connection to the leader. With his damaged 911 RSR he still managed to salvage second place, only eleven seconds off the winning time. In the first third of the race, Kévin Estre and Michael Christensen impressed with a strong performance. Taking up the race from the first grid row, it took Kévin Estre only three laps to move into the lead with the #92 Porsche 911 RSR. Estre took the top position after a spectacular duel with the Aston Martin pilot Nicki Thiim, a former teammate from the Porsche Mobil 1 Supercup. Michael Christensen also put in a consistent stint until the second pit stop, where he handed the 911 RSR off to Kévin Estre again at the lead as the fastest GT car in the field. This would be their last driver change on the Shanghai International Circuit: After 2:15 hours, the Frenchman suddenly lost power and had to pull over at the end of the start-finish straight. 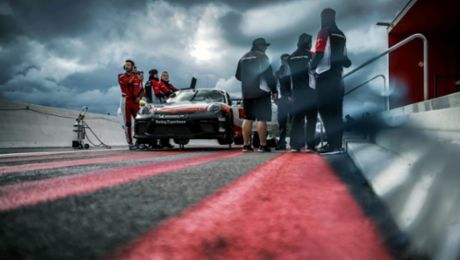 The Porsche customer teams also delivered strong performances. Gulf Racing with drivers Ben Barker (Great Britain), Nick Foster (Australia) and Khaled Al Qubaisi (Abu Dhabi) finished on second place. 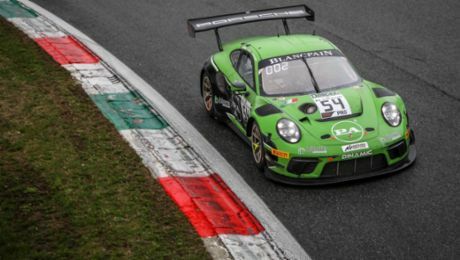 Clinching third place, Dempsey Proton Racing defended their title chances in the drivers’ and team’s classification of the FIA Endurance Trophy with the Porsche Young Professional Matteo Cairoli (Italy), Christian Ried and Marvin Diernst (both Germany). The ninth and final round of the Sports Car World Endurance Championship WEC will be contested in Sakhir/Bahrain on 18 November.